Is Heater Maintenance Really That Important? You don't ever want to be in the position where you wake up in the middle of the night to a frigid house due to a system breakdown. Furnaces that don't receive yearly maintenance are functional right up to the moment when they really, REALLY aren't. Yearly maintenance gives you the chance to catch small problems early so that they have no time to become big problems or catastrophic failure, both of which create uncertainty and make your system so much less reliable. Quick fixes can often prevent much bigger furnace repairs, and so a routine tune-up can make sure that every box is checked on your repair checklist. This one, shorter appointment can actually cut down on future needed repairs by aligning everything and catching any beginnings of a problem before they become damages that need multiple house visits to repair. A well-maintained furnace doesn't only save you money in the short term; as furnace systems function, they naturally need tune-ups to avoid doing minor but long-term damage to themselves. With these tune-ups, your furnace will last for more years than without, and they prevent a small problem from ending the life of your furnace prematurely. Overall, the large cost of a replacement furnace becomes smaller if you can spread it out over a very long furnace life, saving you money by taking good care of your investment. The potential for carbon monoxide leaks or other health hazards is low with your furnace but, unmaintained, a furnace can become a safety hazard in a variety of ways. Checking every year and making any needed adjustments or repairs can be the easiest step you can take to ensure the safety of yourself, your home, and your family. While furnaces don't get "miles per gallon," like a car, they still can operate at greater and lower levels of efficiency, like an engine. 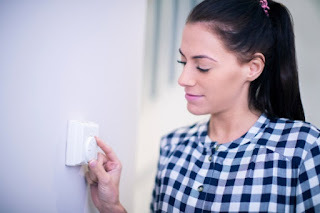 When you do your routine maintenance, you'll often see a lower utility bill afterward, since making sure that all parts of the system are running makes it easier to do the work of heating with less needed fuel. Your yearly maintenance pays for itself, both with the longer lifespan of the furnace and with more efficient operation after the maintenance. We are happy to help with forced air system maintenance, though another way you can reap the above benefits without even having a technician out to your home is to change your air filter regularly. It doesn't only make your air quality great in the home, but also increases the efficiency of the system, making it well worth the cost and hassle of putting in a new filter. Are you ready to get the help you need with yearly maintenance tune-ups? We can help you catch small problems before they become big, expensive repairs. Contact us today at Blue Mountain to get the excellent preventative maintenance you need. With the colder weather approaching, thoughts of winterizing your home may be making their way to the forefront of your mind. 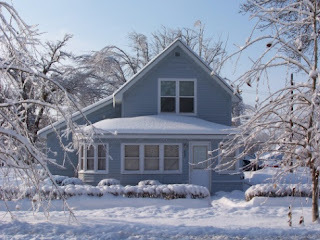 House winterization doesn’t have to be a burdensome task, if done in stages and ahead of the weather. There are several elements to preparing your home and property for the winter weather, including your home’s plumbing system, heating system, cooling system, chimneys and fireplaces, roof, windows and doors, and landscape. It is not necessary to attempt to tackle all these areas at once, but it is a good idea to start in late summer or early fall if possible, to spread out the cost, time required to perform all that is necessary, and ensure everything is complete before the first snow flies. All exposed water pipes in cold areas, such as attics, garages, and crawlspaces, should be insulated. Insulation should cover the entirety of a pipe. Plastic is more tolerant of cold expansion than copper or steel. Houses in colder climates might benefit from the exclusive use of approved plastic plumbing. Water supply for exterior pipes should be shut off from inside the house and then drained. Sprinkler systems are particularly vulnerable to cracking due to cold-weather expansion. In addition to turning them, it helps to purge the system of any remaining water with compressed air. 3. Because it is impossible to monitor the temperature of every portion of the plumbing system, indoor air temperature should be kept high enough throughout the winter to keep pipes in any unheated places from freezing. Use a hose to remove leaves and other debris from the outdoor condensing unit, if your home is equipped with one. Protect the unit with a breathable waterproof cover to prevent rusting and freezing of its components. Remove and store window air conditioners once they are no longer needed. Cold air can damage components and enter the house through openings between the air conditioner and the windowpane. Ceiling fans can be reversed to recirculate warm air trapped beneath the ceiling by spinning clockwise. Chimneys should be inspected for nesting animals such as birds, squirrels, and raccoons. Dampers should open and close with ease, and smoke should rise up the chimney when the damper is open. If it doesn't, this means that there is an obstruction in the chimney that must be cleared before the fireplace can be used safely. A chimney cleaning professional should clean the chimney, especially if it has not been cleaned for several years. Remove any debris in gutters, as it can freeze when wet and allow the formation of ice dams that prevent water from draining. This added weight has the potential to cause damage to gutters and any water trapped in the gutters can enter the house and lead to the growth of mold. Missing shingles should be replaced, and flashing around chimney should be inspected for any damage or tears. Feel for drafts with your hand or watch for horizontal smoke from an incense stick or match held near windows to inspect for leaks. Cover or store any outdoor furniture, including grills. Check sealant on any existing deck to determine if a fresh coat of sealant is required. Taking these steps to winterize your home in advance of colder weather will ensure that you spend your winter months comfy and cozy. If you’re looking for a dependable heating and HVAC service provider to inspect your home’s systems to ensure all is well before Old Man Winter shows up, Blue Mountain Plumbing, Heating, and Cooling is here to help. Call us today at (720) 839-4015 to schedule an appointment for service or repair, or to have us evaluate your current heating and HVAC system. Most manufacturers of water heaters recommend having your water heater flushed once a year to keep it operating at maximum efficiency. The importance of flushing your water heater every year is due to sediment in the system that tends to build up in the bottom of your water heater’s tank. This buildup can impede the proper operation of your water heater and hamper its performance. Similar to changing the oil in your automobile, flushing your water heater is considered regular maintenance which helps extend the life of your water heater and keep it running at maximum performance levels. When there is a buildup of sediment in your tank, your water heater must work harder to heat the water in the tank. This means undue stress on the system, and a bigger drain on available energy, and that means higher energy bills or unnecessary water heater repairs. Blue Mountain Plumbing, Heating, and Cooling is here to help keep your home or business warm, safe, and dry 24 hours a day, 7 days a week. We work with all major brand appliances such as Bradford White, A.O. Smith, Rheem, Rinnai and State, and have the experience and skill required to keep your home warm, dry, and comfortable all year round. We also perform thermal expansion of tanks to ensure compliance with pertinent building codes. We are also an XCEL Energy Rebate provider. When you are in need of a new water heater, we can get one for you and ensure it is installed properly. Call us today at (720) 839-4015 to evaluate your current water heater, flush the system, and make any recommendations for home heating or plumbing work that needs to be done to keep your home comfortable throughout the coming year. Our technicians are fully licensed and insured and provide upfront pricing with exact quotes before beginning any work. Be sure to keep our number nearby so you can call on us when you need a professional to take care of a plumbing or heating emergency repair day or night. 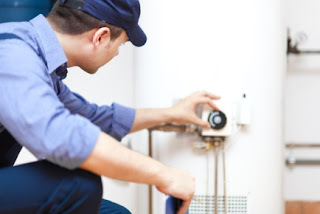 If you are looking for the best company to handle your residential water heater maintenance, service and repair, Blue Mountain Plumbing, Heating, and Cooling is the one to call. Keeping your drains clear and free from the buildup of grease, soap, fat, and debris is key to keeping your plumbing system in good working order. Here are some of the benefits gained by regularly cleaning your drains. Improve the lifespan of your plumbing - regular drain cleaning keeps your pipes in good condition and helps you avoid the build-up of material that can damage your pipes. Prevent catastrophic backups - If you have damaged pipes or encroaching tree roots, you may be on your way to a major failure. Catching problems in the early stages helps prevent big problems such as a sewage backup or flooding basement. Reduce expenses - When you keep your drains in good shape, you also reduce your chances of major problems requiring expensive emergency calls to a plumber. You also avoid pricier, more complicated plumbing repairs down the road. When a clogged drain is the result of a minor clog, you may have success clearing it with a plunger. For slow draining or blocked sinks, you might be tempted to reach for a chemical drain cleaner. However, these cleaners run the risk of damaging your pipes. Instead, if the problem persists, it is a good idea to call in the professionals. There are two main methods used for clearing blockages in drains. More commonly known as drain snakes, drain augers are long, flexible cords with an auger (a kind of corkscrew piece) at the end. The cord is inserted into the pipe, beginning with the auger. Once the blockage is reached, the cord is turned with either a motor or hand crank, basically drilling into the clog. The build-up of material can either be pulled out or broken up and flushed out. A newer and more sophisticated method of drain clearing is the use of high-pressure water and high temperatures called hydro jetting. A water line with a nozzle is inserted into the pipe with the clog. A jet-stream of scalding hot water is discharged into the pipe, scouring the pipe interior. The combination of power and heat cuts through the blockage and breaks it down into a sludge. The material is flushed out of the pipes and into the sewer. Hydro-jetting is very effective at clearing your pipes without causing any damage to your pipes or joints. Setting up a regular drain cleaning service is easy with Blue Mountain Plumbing, Heating and Cooling. We service Denver and the surrounding metro area. Call today at (720) 839-4015. A well-functioning air filter works quietly in the background to clean the air so you and your family breathe easier. This relatively small item plays a big role in keeping you safe and healthy. It does this by filtering dust, pollen and other pollutants to improve the quality of your indoor air. It also provides a barrier to prevent larger particles or debris such as loose insulation from damaging your furnace. In fact, if it's doing its job right you may even forget it. That's why it's important to maintain a schedule for changing your air filter regularly. No matter what type of air filtration system your home has, here are three reasons it is important to change it regularly. 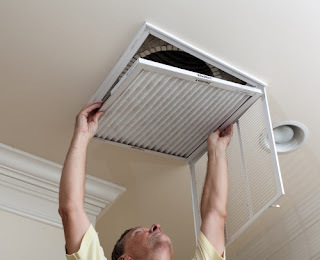 Changing your air filter provides you with a clean filter that ensures proper air filtration of harmful particulates such as dust, mites, pollen and spores, pet dander, allergens, and other health hazards. Everyone will breathe easier, especially those with allergies and respiratory conditions. Clean air filters help your furnace and air conditioning system work most efficiently which saves you money. Keep your filters clean and change regularly to save on your utility bill and avoid costly repairs to a damaged system. To enjoy the benefits of clean air in your home, change the air filter on your HVAC system regularly. Follow the manufacturer's advice for how often to change the filter, but most recommend a change every one to three months. Changing your air filters regularly is a small project with big rewards. It's healthy for you, your family, and the environment. Every home has shut off valves, and each one of those valves should be exercised every few months. These shut off valves go to your sinks, toilets, water heater, and your main water supply. To clarify, by “exercise” we mean that the valve should be closed and opened. Testing the operation of each valve in your home is important to ensure there are no leaks at the valve point and the valve is functioning properly. Another important reason to test valves by opening and closing them is to remove any mineral deposits and other sediment, making it less likely the valve becomes sealed or difficult to operate. Knowing where your shut off valves are located is key so you can prevent serious water damage in case you have a leak in your plumbing system. In addition to shut off valves under your sinks and toilets, and attached to your water heater, your water meter typically has a shut off valve on either side of it. The valve on the house-side of the meter is meant for homeowners to use. 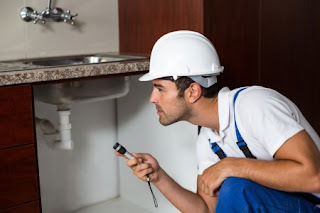 By testing shut off valves periodically you are ensuring the valves are not stuck or compromised in any way, which can save you from experiencing unnecessary problems down the road should you encounter a water leak or other emergency. If you’re looking for a dependable plumber and HVAC service provider in the Thornton and Denver metro region, Blue Mountain Plumbing, Heating, and Cooling is here to help 24 hours a day, 7 days a week. Call us today at (720) 839-4015 to schedule an appointment for service or repair. We will also evaluate your current heating and HVAC system. Be sure to keep our number nearby so you can call on us when you need a professional to take care of an emergency repair day or night. How often do you currently replace the AC filter in your home? Knowing when to change air filters is very important for the health of your ac unit. Changing the air filter in your home air conditioning system on a regular basis helps improve the quality of the air you, your loved ones, and your pets breathe every day. A new air filter also helps prolong the life of your heating and cooling system by keeping it clean. The air filters in your home system are designed to trap damaging dirt and debris. Airborne pet dander, spores, dust, pollen, and other harmful particles and contaminants in the air can wreak havoc on both your health and your home air conditioning system. All of these contaminants can cause a flare up of allergy or asthma symptoms in individuals who suffer from these conditions. Deciding when to change your air filter could be more or less frequently depending on these conditions. When you replace an AC filter more often, not only will it help your overall health but it can improve the health of your ac unit, as well. We are happy to tell you that, replacing your air filter can save you money on costly repairs or replacement of your HVAC system. In addition to providing general residential and commercial plumbing and electrical service and repair, we also provide our customers with expert, skilled HVAC system maintenance and repair services. If you like, we can also evaluate your current plumbing and HVAC system, and make you aware of any potential problems we may find. How Frequently Should You Replace an AC Filter? Deciding when to change the air filter in your home depends on a few factors. In the average suburban home without pets, changing your filters every 90 days should be sufficient. If you have a pet dog or cat, filters should be changed every 60 days. If anyone in the home suffers from asthma or allergies, or you have more than one pet, changing filters every 20 to 45 days is recommended. In a summer or vacation home, or if there is only a single occupant and no pets or allergies exist, once every 6 to 12 months is often enough. For more questions on when to change air filters or any other HVAC related questions, call us at (720) 839-4015. Blue Mountain Plumbing, Heating, and Cooling is here to help 24 hours a day, 7 days a week. Be sure to keep our number nearby and call on us when you need a professional to evaluate your plumbing, heating, and cooling system needs, or to take care of an emergency repair, any time of the day or night.